Sol Chip, an innovative provider of Internet of Things (IoT) systems and energy harvesting solutions, today announced the introduction of its Sol Chip Comm™ autonomous, wireless, solar tag for enabling precision agriculture and smart irrigation. The Sol Chip Comm (SCC) device is an ultra-compact, maintenance-free, solar-powered, wireless tag. SCC powers, controls and wirelessly connects a wide variety of sensors to the Cloud. In precision agriculture and smart irrigation applications, SCC feeds real-time data readings from up to hundreds of agriculture-related sensors, including those that monitor soil moisture, soil temperature, ambient temperature, air temperature, nutrients levels and more, into a precision agriculture application server. This essential data gathered by SCC is analyzed by a precision agriculture application in order to make data-driven adjustments for optimizing water and fertilization consumption and improving crop yields. Sol-Chip and its new SCC device significantly lower the barrier for the adoption of precision agriculture and smart irrigation. Based on Sol Chip’s innovative energy harvesting technology, SCC is solar-powered and designed to operate continuously for more than ten years with no maintenance requirements, removing the need to constantly replace and discard batteries. As a wireless device, SCC eliminates the significant costs and time associated with deploying and maintaining wires to connect the deployed sensors. SCC’s small size makes the product easy to install and move around any agriculture-related environment, while being unobtrusive and not prone to theft. In addition, the low cost of SCC makes the deployment of wireless sensors for agriculture purposes to be financially accessible. In addition to precision agriculture and smart irrigation, Sol Chip’s SCC device can be applied to smart cities, smart grids, asset tracking and similar applications. Sol Chip is currently offering an evaluation kit for precision agriculture and smart irrigation, which includes two SCC solar tags, two sensors, a wireless gateway, all the necessary accessories, access to third party web server and support. The components of the evaluation kit are pre-integrated, enabling the evaluation kit to be rapidly deployed for testing in an open field or greenhouse. Sol Chip will be demonstrating the SCC device at the Irrigation Show in Las Vegas on December 7-8 at Booth 1446. Sol Chip is an Internet of Things (IoT) systems and energy harvesting solutions provider. 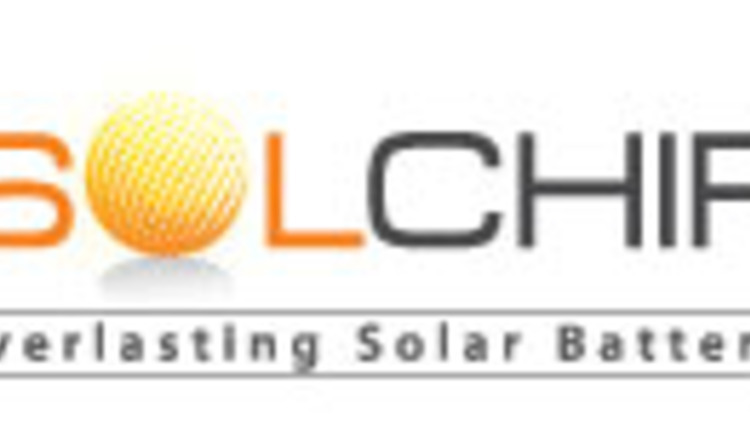 Sol Chip develops and manufactures maintenance-free IoT solutions based on its LightBattery™ Everlasting Solar Battery technology. This compact battery can supply energy for the lifetime of IoT devices with virtually no maintenance. Sol Chip’s technology provides a disruptive platform for applications, such as home automation, smart cities, precision agriculture and many more. For more information, visit www.sol-chip.com.